From the early twentieth century Avant-garde to contemporary notions of "spatial agency," so-called "critical architecture" has always entailed a politics of making: or rather, the attempt to "make" politics through architectural artifacts and processes, in order to transform people’s lived reality, to empower them to act differently, to change their consciousness and their possibilities of self-realization, against the hegemony of capital. 1 A dogma of Modern Architecture has been that new ways of making – new techniques and technologies – if guided correctly, can produce new political possibilities. Yet implicit throughout much of the recent debate about the question of "criticality" in architecture is a recognition of the difficulty, if not failure, of this belief in technique: in spite of our best intentions and techniques, architectural practice has become increasingly indistinguishable from the diffuse technological and spectacular operations of capital. Yet, for many architects and architectural thinkers, architecture as a discipline retains the capacity to be critical: to mitigate or counter the apparatus of capital, to provoke or elicit constructive change, to empower people and to effectively produce another political reality. But how can this critical and effective capacity be understood, if not through technique? If politics is ultimately at stake, then the proper domain of the question is ethical, rather than technical. How can the case be made for an "ethical," rather than "technical," conception of technique? What would such an "ethical technique" operate upon, and what would it "produce"? In what way would it be critical, and how could architecture’s "critical call" and task then be understood? To answer these questions, I will first examine how the presumption of a critical, political capacity of technique in architecture can be understood in light of Walter Benjamin’s conception of technique in art as capable of revealing and remaking the lived experience of reality as "production." 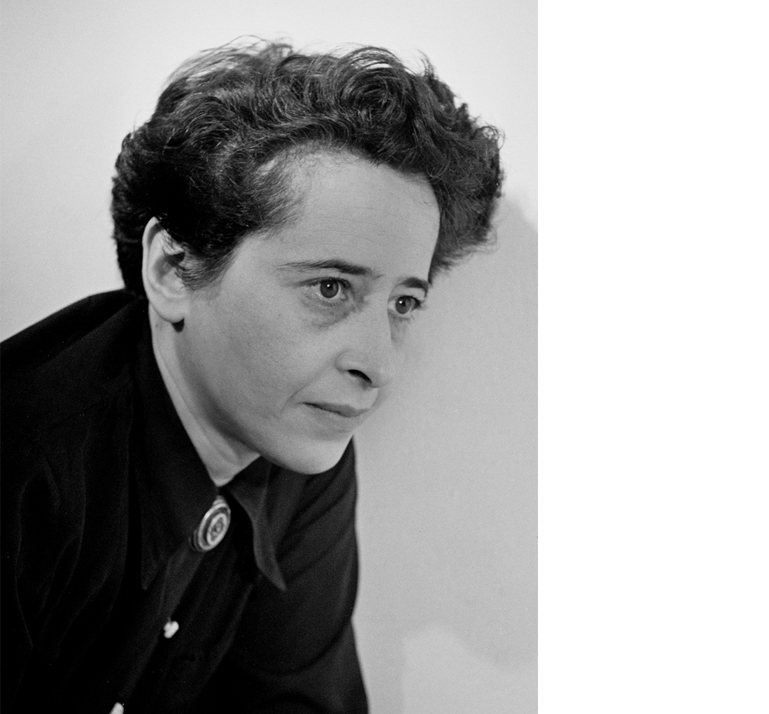 I will then show how in the political philosophy of Hannah Arendt, technique can be understood to assume an ethical, rather than technical, relation to a primary, politically constituted human reality, dependent upon the "commonness" of a fabricated world of things. I will then argue that architecture, in fabricating this "common world," is called upon to make it common, and that "making common" can be understood as an "ethical technique" proper to architecture as a discipline. By virtue of the notion of an "ethical technique," architecture's "critical call" can be reformulated as a call to, in effect, "change the world," through constructively envisioning the concrete forms and conditions of "commonness" by which a politics of human action can emerge that resists and counters the apparatus of capital. Implicit in Modern Architecture’s claim to socio-political efficacy was the presumption not only to give expression to the lived reality of modernity, but to transform it through technique. The precise relation between technique and lived reality underlying this claim was perhaps articulated most clearly by Walter Benjamin. In his 1934 essay “The Author as Producer,” Benjamin posited technique as the means by which art, as a mode of production, could come into a “correct” relation with politics according to Marxist critique, and obtain an “organizing function” to transform the social conditions of production, rather than reproduce them. 2 Through new techniques, the work of art could reveal the nature of reality as production, and induce others to become active producers, rather than passive consumers, of their own lives. 3 Although he did not speak of architecture in the essay, Benjamin’s valorization of technique correlated with the assumption of architecture’s “critical call” in the twentieth century that architecture was itself a mode of production, capable of producing new political possibilities through new constructive, organizational, programmatic and aesthetic techniques and technologies. Technique could not only reveal reality, but also “produce” it anew according to a correct understanding of human reality as production, thus empowering and emancipating people to live and work within this new reality. Technique was thus the means by which the artist as “producer,” as well as producers of all kinds, could concretely realize political ends. Hannah Arendt’s political philosophy allows for a different way to conceive of the socio-political efficacy of architecture, and of the effective political relationship between technique and reality. In The Human Condition, Arendt’s seminal philosophical work published in 1958, 6 she asserts the substance of politics as the realization of human freedom in spontaneous action and speech, rather than through the transformation of nature through productive labor according to Marxist theory. Action and speech require a durable, man-made “common world” to acknowledge, remember, and orient them, and in which they can attain meaningful, public significance by being seen and heard. For Arendt, the durability of the common world is crucial for its ability to transcend the lifetime of individual men, and thus to give a relative permanence to otherwise fleeting words and deeds, and to the entire realm of human affairs itself. In posing a man-made, common world as an essential condition of politics, Arendt opens a way to reframe the relationship between technique and lived reality in architecture such that the very possibility of politics, rather than the realization of political ends, becomes a task for architectural making. Although the work of fabrication for Arendt is not itself political in the manner of action and speech, it provides for the possibility of politics by constructing the meaningful context for acting and speaking – the common world that sustains the public realm. Architecture and art have historically been the privileged modes of fabrication with respect to the public realm. Political freedom is a spatial construct for Arendt; 8 politics is grounded in place, and must be bounded by walls, as in the agora of the Greek polis. 9 The common world is a phenomenological mediatory milieu, which Arendt famously characterizes with the figure of a table: “To live together in the world means essentially that a world of things is between those who have it in common, as a table is located between those who sit around it; the world, like every in-between, relates and separates men at the same time.” 10 As such, the fabricated common world is a pre-condition of politics, which anticipates, embodies and acknowledges the primary, politically constituted human reality that is necessary for action and speech to be meaningful. The common world sustains a public realm by virtue of its publicity, in which everything can be seen and heard by everyone, and obtain its objective reality. Arendt furthermore asserts that the common world must be “fit” for action: 11 through its beauty and permanence, the common world must implicitly acknowledge the human ideals and principles that orient action and speech in appearing, or “shining forth,” as the world had in common. 12 In so doing, the common world as the public realm can properly testify to and memorialize action and speech so as to give them a relative permanence, and enable them to inspire new speech and action. The enduring concreteness and commonness of the fabricated world is thus what allows for the actualization of human freedom, which Arendt saw as the essential purpose of the Greek polis. Hannah Arendt. © The Fred Stein Archive. Arendt’s formulation of a fabricated, common world as the pre-condition for politics thus provides a way to reconceive the relationship of technique to human reality invoked by Benjamin in ethical, rather than technical, terms. The human sense of reality is not a given condition for Arendt, but constituted through lived experience with others by virtue of the commonness and publicity of the world. “Under the conditions of the common world, reality is not guaranteed primarily by the ‘common nature’ of all men who constitute it, but rather by the fact that, differences of position and the resulting variety of perspectives notwithstanding, everybody is always concerned with the same object.” 13 Arendt furthermore writes, “Only where things can be seen by many in a variety of aspects without changing their identity, so that those who are gathered around them know they see sameness in utter diversity, can worldly reality truly and reliably appear.” 14 The publicity of the common world – its ability to be seen from multiple perspectives by multiple actors – guarantees this reality for Arendt. In constructing the common world, fabrication and technique do not reveal or transform a given reality in order to realize political ends, but rather allow for the constitution of the reality in which human politics can take place. This reality can only obtain its commonality and objectivity within a fabricated common world of things. Only within such a common, lived reality can speech relate to action and vice versa, and attain their reality in becoming effective. As part of fabrication, technique then provides for the possibility of a politics in which people, through freely speaking and acting together, can disclose their unique human identities in deciding how to live. Arendt’s concern with politics in the mode of making is first and foremost that it precludes an authentic human politics of freedom. Bound within the instrumental logic of ends and means, free human agency for its own sake is denied, and the “human,” properly speaking, cannot be disclosed. In addition, Arendt argues that no meaning or identity can emerge from the framework of ends and means governing fabrication: meaning cannot be “made.” 17 Fabrication is a means to an end: determined by this end, it cannot address the ultimate “sake” for which making occurs – human self-realization. A further consequence of “making” politics is that the human sense of a common political reality is destroyed. The operative reality of the craftsman is the physical reality of the material world, which he knows through the solitary exercise of his technique. One perspective rules absolutely throughout the fabrication process, combining utility, economy, and effectiveness in achieving the desired end. Taking fabrication as a model for politics violently denies the human condition of plurality, as the reality that derives from it has no operative or productive value. Unable to recognize this primary human reality, politics in the mode of making destroys the substance of human affairs for Arendt by treating it as if it were mute, inert matter. Arendt’s critique of making in politics holds for architecture, as much as it does for Marx and Benjamin. Generally sharing Benjamin’s valorization of technique, “critical” Modern Architecture aspired to “make” politics: to realize the ends of a politics of human liberation and realization through the application of new technologies, rather than establish the context in which free action and speech could take place and become meaningful. In light of Arendt’s critique, a politics of architectural technique can lead neither to human freedom, nor attain meaning itself. Directed to achieve political ends by way of its very fabrication, the world cannot stand apart solely to acknowledge and orient action. Rather, it pretends to a properly human agency to condition action according to ideal schemas, however well intentioned, whose values, principles and outcomes are always foreseen, if not predetermined. Furthermore, conceived and fabricated within the perspective of a singular maker, the world cannot truly acknowledge or accommodate the necessary plurality of human perspectives: it can no longer be truly common, or the basis for constituting a common political reality. Such a commonly constituted reality is furthermore preempted by architecture’s identification of technique with technology, which addresses an exclusively techno-scientific conception of reality. In so doing, architecture not only acts upon physical reality according to hypothetical schemas, but also upon the world of human affairs by adopting social, political and behavioral theory from the human sciences. Traditionally, architecture could always reconcile heterogeneous “realities” and forms of knowledge, as constituent aspects of a unified cosmos, into a meaningful whole that could be known through both common sense and theory. However, technique as technology attempts no such reconciliation: techno-scientific reality fundamentally denies the humanly constituted political reality conceived by Arendt. In acting exclusively through technology, architecture reproduces scientific reality as de facto political reality: common, human reality thus effectively becomes a function of technique, rather than of common sense. In this way, architecture delivers human reality wholly over to the operative, techno-scientific reality of the apparatus of capital, in which the natural, technological, social and psychological are collapsed into a single sphere. In the obliteration of a commonly constituted reality, the very possibility of a public realm, and of a politics of human freedom in Arendt’s terms, is precluded. Following from Arendt, the political ambition of architecture can be properly understood as not only to fabricate the common world, but to fabricate the material condition of the common itself, for the sake of a human reality in which politics can take place. The technique at issue in this fabrication is ethical, rather than technical: an “ethical technique” of “making common,” in order to prepare a potentially vital, even authentic, public dimension in spatial experience. In recognizing a primary human reality that is politically constituted, and prior to any techno-scientific or theoretical conception, this sense of “ethical technique” can potentially allow for action to be conceived other than as a mode of production. Released from the necessity of production, action can realize essential human freedom outside of the operative reality and techniques of the capitalist apparatus. An ethical conception of technique then provides a critical means of rethinking architecture’s capacity to elicit, provoke or acknowledge new modes of commonness, and thus new modes of human action and forms of culture, alternative to those of capitalism. In Modernity, however, the very idea of “commonness” is deeply problematic, as is architecture’s claim to the authority and knowledge to act through a notion of ethical technique to recover, or reconstitute this commonness. 18 The commonness of the world in Arendt’s terms is no longer given; technique as technology cannot make common, but only reproduce the operative reality of capital. Yet there is precedent within the tradition of architecture as a discipline for such an ethical technique, which arguably can find continuity in modernity. Traditionally, the methods and knowledge of technique as constructive know-how were distinct from those by which architecture accommodated the socio-political world of human affairs. Technique fell within what David Leatherbarrow refers to as architecture’s “technical reason,” by which architecture engaged the reality of the physical world. 19 Technical reason was guided by a correlative “ethical reason,” alongside the self-reflexive “philosophical reason” of architectural theory, such that architecture could effectively situate and orient human life. Ethical reason, Leatherbarrow writes, was a practical reason, capable of grasping the “patterns” and “structure” of life situations in relation to the concrete practice of building. 20 Accordingly, Leatherbarrow writes that architectural practice was, and remains, primarily a matter of “ethical understanding.” 21 As such, it was by ethical, rather than technical reasoning, that architecture could exist as a discipline in its own right, and play a vital role in human culture. Leatherbarrow’s account of ethical reason aligns with Arendt’s invocation of phronesis, the faculty of political insight in ancient Greece by which the political actor could take account of greatest possible overview of different perspectives, motivations, potential courses of action, and arrive at a proper judgment of how to act. 22 Ethical reason also aligns with Arendt’s conception of common sense as a practical reasoning, by which the multiple perspectives of individuals can be reconciled in a common, objective reality, by virtue of sharing a world. 23 Architecture’s ethical reason then can be understood as such a practical reason, and the capacity to spatially reconcile the perspectives of human plurality into a common reality through fabrication can be thought of as the particular “technique” of ethical reason – the technique of “making common”– alongside the technological methods of technical reason. Within this notion of an ethical technique, architecture can, in principle, reconcile Arendt’s notion of reality, constituted politically through common sense, with the opposing, operative reality of science and technology. In so doing, architecture can aspire to recognize and embody an authoritative reality that is truly common, in which the full plurality of perspectives is preserved. As a disciplinary capacity drawing upon the tradition of practical wisdom, architecture’s ethical reasoning possessed a primary authority with respect to the form and substance of human affairs, and the nature of human reality. 24 However, the authority of this ethical reasoning was challenged by modern science, which sought to describe physical and socio-political reality in the same terms, and as equally susceptible to technological operation. In adopting techno-scientific reality and methods as its own, Modern Architecture renounced its traditional disciplinary knowledge and authority. Architecture’s ethical capacities were subsumed within those of technique, which could not address the essentially “human” dimension of socio-political reality. Furthermore, by generally allying its moral and political ambition with Marxist social theory, Modern Architecture renounced its own self-reflective, theoretical capacity as a discipline. The task of reframing architecture’s “critical call” is therefore that of recalling its ethical and political vocation and authority as a discipline, at a moment when the primacy of technique as a political method, in spite of its futile history, remains a deeply felt conviction. This reframing can proceed only by recognizing the primacy of a human reality susceptible not to technological operation, but to an “ethical technique” proper to architecture as a discipline, capable of acknowledging a conception of human politics outside of the apparatus and the attendant theories of liberation that resist it. Asserting the primacy of architecture’s disciplinary knowledge and techniques in turn asserts the capacity of architecture to positively reshape the fundamental conditions of human life: to propose alternative visions of the world, rather than reproduce existing ones. If the substance of an authentic human politics of action and speech is undeterminable for Arendt, yet still dependent on a common world, how can architecture address or anticipate this politics according to the notion of an “ethical technique?” How can architecture embody the recognition and acknowledgement of a potential politics, alternative to that of capital, let alone give it shape or orientation? Here, architecture must authorize itself as a discipline, and draw upon its latent philosophic and ethical reasonings to desire, envisage, and make judgments relative to human possibility. Architecture must take up the essentially modern task of envisioning the possibility of a politics that is radically exceptional to that of the techno-spectacular apparatus of capital, while ceding the realization this politics to human action itself. Leatherbarrow writes that architectural design is inherently projective, anticipatory, imaginative, and desiring; its essential role has always been to project “real possibilities,” rather than implement “possible realities.” 29 As a discipline, architecture is thus capable of concretely imagining, eliciting and provoking new forms of commonness that would potentially engender a new politics of action. In so doing, architecture effectively assumes, if indirectly, a decided criticality with respect to given political realities. The possibility of politics then remains a task for architectural making, dependent on projective techniques of envisaging through fabrication; but the substance of a possible politics remains in the domain of human action, for its own sake, and has yet to emerge. This politics remains undeterminable by theory, let alone by architecture, stemming as it would, according to Arendt, from the essential human freedom to initiate action. Yet architecture cannot envision the possibilities for politics alone: architecture’s “critical call” is that of other disciplines as well. Architecture must participate in the collective imagination of a potential politics across all domains of culture. The prospects for the imminent emergence of an alternative politics in Arendt’s terms, whether spontaneous or prepared for in some way by architecture, are far from certain. Yet in reframing its so-called “critical call,” architecture is enjoined to raise the very question of politics – human self-realization – in terms other than the apparatus, however tentatively or provisionally. Posing this question anew, on its own authoritative terms as a discipline, could be architecture’s most important “critical” achievement. Within the apparatus of capital, any eruption of Arendt’s conception of human reality would be unsubsumable, as it would share no common denominator. The forms of such an eruption would emphasize commonness rather than durability, and the ephemerality of occasions, rather than the permanence of boundaries. Through its different modalities of exercising “ethical technique,” architecture could aspire to a “durable” critical practice of fabricating the condition of commonness. This practice would finally depend, as Leatherbarrow points out, on the self-reflexive philosophical reasoning of architectural theory to comprehend architecture in relation to other disciplines and cultural discourses. 30 In so doing, architecture will be able to preserve itself as a “critical” discipline, and ultimately able to account for the commonness of the world that it constructs. On “spatial agency,” see Nishat Awan, Tatjana Schneider and Jeremy Till, Spatial Agency: Other Ways of Doing Architecture (Abingdon, [UK]: Routledge, 2011). My use of “critical” is intended to encompass the broad range of architectural work and thinking that has attempted to transform social, cultural and political conditions under capitalism throughout the twentieth century, generally on the basis of Marxist analysis and theory. Walter Benjamin, “The Author as Producer,” in Reflections: Essays, Aphorisms, Autobiographical Writings, ed. Peter Demetz, trans. E. F. N. Jephcott (New York: Schocken Books, 2007), 222-23, 233. My use of the term “apparatus” is intended to connote the broad conception of the “apparatus of capital” in Late-Modernity, comprehending the primary aspects of Guy Debord’s analysis of spectacle, The Society of the Spectacle (New York: Zone Books, 1995); Michel Foucault’s theory of power and discipline, particularly in Discipline and Punish: The Birth of the Prison (New York: Pantheon Books, 1977); and Giorgio Agamben’s theory of bio-politics in Homo Sacer: Sovereign Power and Bare Life (Stanford, CA: Stanford University Press, 1998), and his concept of “the apparatus” in “What is an Apparatus?,” What is an Apparatus? and Other Essays, trans. David Kishick and Stefan Pedatella (Stanford, CA: Stanford University Press, 2009). Hannah Arendt, The Human Condition, 2nd ed. (Chicago: University of Chicago Press, 1998), 57. Subsequent citations refer to this edition. Hannah Arendt, “Introduction into Politics,” in The Promise of Politics, ed. Jerome Kohn (New York: Schocken Books, 2005), 119. Arendt, The Human Condition, 2nd ed., 52. Ibid., 55. On appearance as the quality of “shining forth,” (see 226n65). For Kenneth Frampton, the question of architecture recovering a capacity to represent “collective value” is “moot,” absent an authentic public realm in Arendt’s specifically political terms. See Kenneth Frampton, “The Status of Man and the Status of his Objects,” in Labour, Work and Architecture (London: Phaidon Press, 2002), 40. The political philosopher Ronald Beiner argues, however, that architecture has the potential to “redeem” irresolvable problems in Arendt’s political theory by creating and strengthening the capacity of public places to expressively embody long and deeply held community values. He proposes that architectural experience could function as a mode of citizenship, enacted through the inhabitation of shared spaces. See Ronald Beiner, “Our Relationship to Architecture as a Mode of Shared Citizenship: Some Arendtian Thoughts,” Techné: Research in Philosophy and Technology 9, no.1 (Fall 2005), https://scholar.lib.vt.edu/ejournals/SPT/v9n1/beiner.html. Hans Teerds argues that Arendt’s specifically political conception of common sense, grounded in the sensus communis that reconciles different sense perceptions into an objective, common world, can provide a basis for architecture to recover the common dimension of public experience. See Hans Teerds, “Constructing Culture: A Political Perspective,” Architecture and Culture 2, no. 2 (2014): 213-23, doi: 10.2752/205078214X14030008752542. David Leatherbarrow, “Architecture Is Its Own Discipline,” in The Discipline of Architecture, ed. Andrzej Piotrowski and Julia W. Robinson (Minneapolis, MN: University of Minnesota Press, 2001), 86, http://site.ebrary.com/id/10151240. Arendt, “Introduction into Politics,” 168. See also Hannah Arendt, “The Crisis in Culture,” in Between Past and Future: Eight Exercises in Political Thought (London: Penguin Books, 2006), 218. Arendt, The Human Condition, 57-8, 208-9. See also Arendt, “The Crisis in Culture,” 218. For Arendt’s elaboration of taste as a judging, political sense in relation to commonness and common sense, drawing upon Immanuel Kant’s critique of aesthetic judgment, see “The Crisis in Culture,” 216-21, and especially Hannah Arendt, Lectures on Kant’s Political Philosophy, ed. Ronald Beiner (Chicago: University of Chicago Press, 1982). Leatherbarrow, “Architecture Is Its Own Discipline,” 84-5. Rem Koolhaas, “Junkspace,” A+U: OMA@work 1972-2000, special issue, ed. Nobuyuki Yoshida (Tokyo: A+U Publishing, May 2000): 16-24. Arendt The Human Condition, 53. Arendt, “Introduction into Politics,” 106. This essay originated as a paper presented on a panel led by Dr. Maurizio Sabini entitled “Critical Call” that was held at the 104th Annual Meeting of the Association of Collegiate Schools of Architecture in Seattle, WA, on March 19, 2016. I thank Dr. Sabini for the opportunity to present this work, as well as for his thoughtful reflections upon it. This essay is a revised version of the paper to be published in the 104th ACSA Annual Meeting Proceedings, Shaping New Knowledges (Washington D.C.: ACSA Press, 2016), and is republished herein courtesy of the ACSA. The research for this paper was conducted in association with the graduate architectural theory seminars that I have taught at the Azrieli School of Architecture and Urbanism at Carleton University since 2012. I wish to thank Carleton University for supporting the dissemination of this research through the CUPE 4600 Professional Development Fund.